Sound Systems Operated by D.J. Each event type is different. A small event with an announcer and DJ may only require a few speakers, while a concert event may need a rental sound system covering thousands of attendees. Furthermore, choosing the right vendor for your sound system rental can be a challenge. Without the technical background, how can you select the best production vendor for your needs? 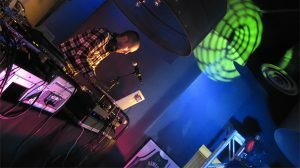 The event professionals at In Depth Events have been providing rental sound systems for years. Our client base includes all types of people and events, including (but certainly not limited to) concerts, festivals, 5K runs, non-profit events, major corporations and city events. Our friendly event staff can help you with your needs and you'll find our on-site technicians to be professional, well-dressed and ready to work with you to achieve your event goals. 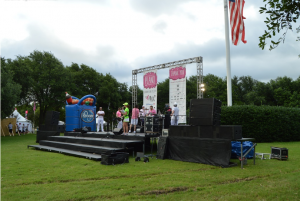 The style of venue also plays a big role in sound system rentals. Indoor venues can have acoustical properties that need to be addressed, as well as the possibility of flying (or hanging) the sound system for better coverage. Outdoor events need to be able to throw long distances, while race events may require the rental of a 70 volt system. With each and every event, we take the venue into account when selecting and quoting the proper rental sound system for your needs. Ask Us a Question and find out how our professional event specialists can provide the best sound system rental for your specific event needs. We look forward to hearing from you, and working with you!